Today, I installed yet another GTXaa two-stage trigger up-grade, designed by Steve_in_NC, for a customer. (photo above). As always, I'm sooooo impressed at how much the trigger pull of the Stoeger X10, X20 and X50 air rifles is improved by the GTXaa trigger. It provides a much more defined, controllable release than the standard Stoeger trigger and makes shooting these excellent Stoeger airguns even easier - it improves my accuracy too, because the trigger release point is so well defined by the second stage of the GTXaa trigger. But what I've not stressed enough, I think, is that the GTXaa trigger fits both types of factory trigger to be found in Stoeger air rifles currently in the supply chain. 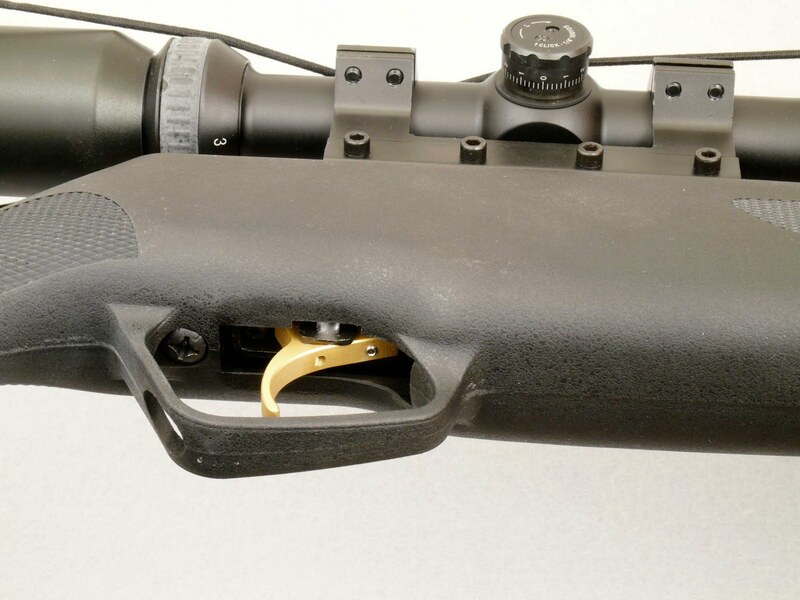 One type of factory trigger has a stamped steel blade, the other has a "solid" trigger blade. The "solid" blade version has a design that's similar to the GTXaa, but it's in no way comparable - trust me on this one! So here's some photographs of the GTXaa installed in a "solid trigger" X20. 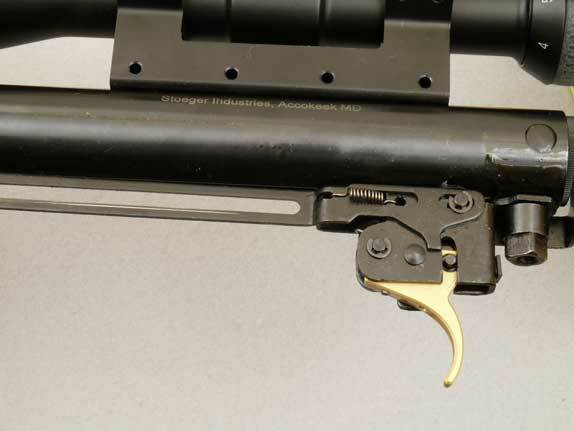 The main change when compared to installing the GTXaa in a "stamped trigger" model is that the trigger pivot pin is removed from the opposite side of the gun. 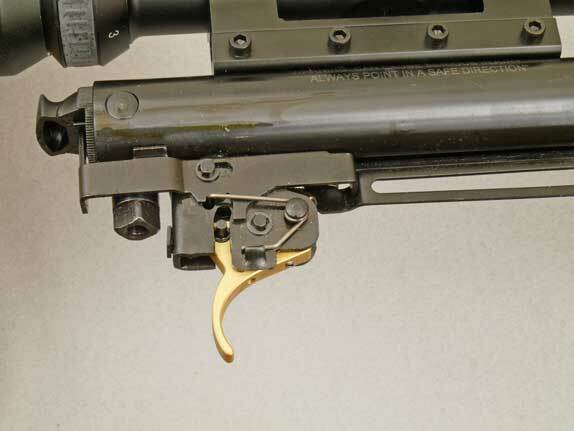 Apart from that, installation is even easier than for the "stamped" model as there's less parts to remove, only the trigger blade and spring. Below are photos of the installation without the stock fitted.